Hey guys, longtime lurker, sometime poster in the rules threads. Figured I'd share a project I have going on currently: building "updated" Khorne Lords of Battle! Anyhow, the concept was a pretty decent update of the old Lord of Battles, it was just too small, way overcosted, and I don't play 40K anymore anyhow, so the kit was more of a "hey, that's nice" discovery for 40K. Ah, but Epic: Armageddon, that's a different story. I have a bunch of mostly-painted Iron Warriors, and I'd long figured that if I were going to adapt them back into a "Black Legion" list that Khorne's patronage made the most sense. I also want to reinforce the army with some Lost & the Damned at some point as well, so I'd been dreaming up how to convert the Lord of Skulls look into an epic scale Lord of Battles. Elements: 2 kataphron sprues (chassis, servitor torso), terminator assault cannon, chaos terminator power axe arms, berserker chainaxes & helms, spare knight paladin battle cannon barrels, assorted brass etch and Khorne symbols. Ohhh thanks for the parts list. I've had my eye on making one of these fabulous guys. So glad they were there "to pump [claps], me up"! Nice work, Brad. They are going to pump *clap* YOU up!! Cool stuff, hard to tell where one kit ends and the other begins. Excellent love em make me some please. 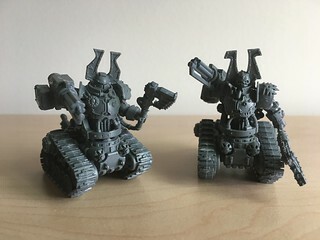 They are just superb conversions. They look far better than the old Lord of Battle. Looking forward to seeing them painted. Will they be painted in Iron Warriors colours? Very Nice kitbashing ! I like the look ! I haven't quite decided yet. I managed to finish the bases before heading out of town for the weekend. ...But I could definitely see these crafted (imbued?) and gifted as a sign of solidarity between my Iron Warriors warband and a future allied World Eaters warband. 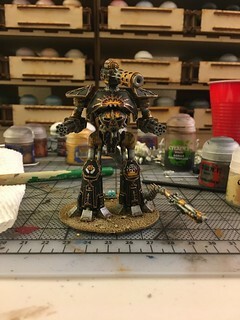 I will play with ways of incorporating both color schemes: perhaps Iron Warriors metallics for the chassis and crimson & brass for the torsos and arms... 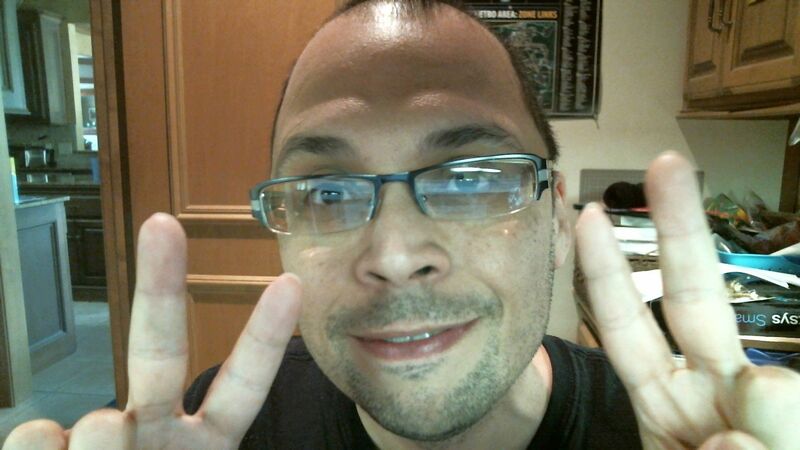 The night is young (at least where I am)! Necro'ing the heck out of my old modelling/painting thread from years back, rather than launching a new one. I still don't have a means of mounting 2 battle cannons on each of these that I'm comfortable with, although they might still end up with the ever-Orky crotch turret before I'm through. I still have to add more flames to the legs, codpiece, shoulders & carapace, but I'll finish that off when I get the Ferals to the same stage. I just barely got this guy to this state before I had to pack up my paints two weeks back, so I'll call that a win. That tail is long enough to give it an extra attach in FF. Looking forward to seeing the completed army at NEAT.